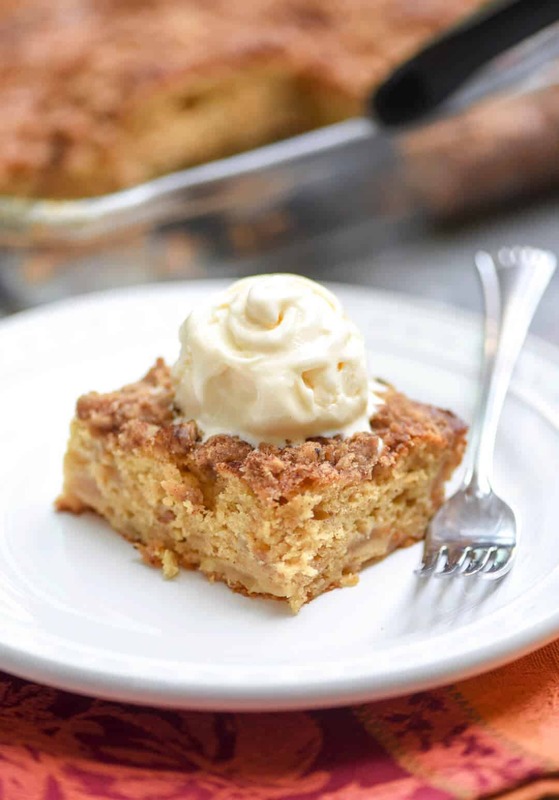 A super moist cake that is studded with apples and topped with a walnut streusel. 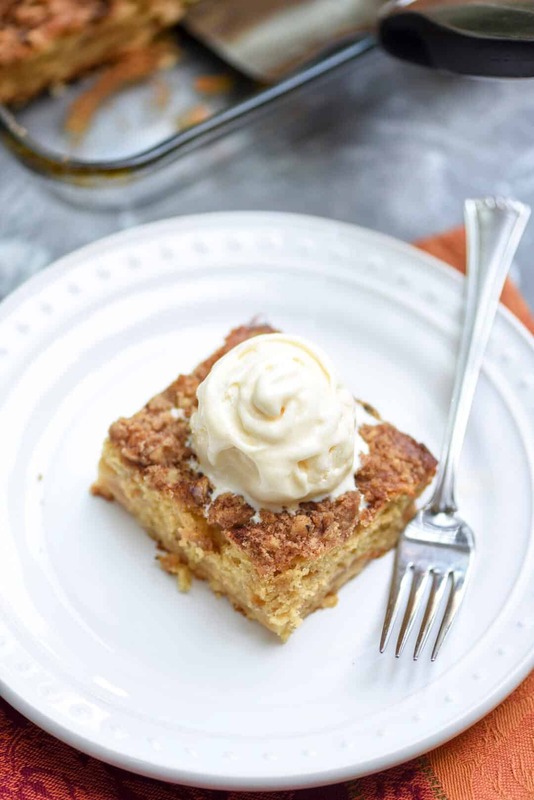 Serve this Easy Apple Crumble Cake with ice cream for dessert and eat the leftovers with breakfast the next morning! This is truly a multi-purpose cake. 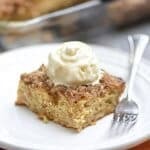 It’s not overly sweet and the delicate texture reminds me of coffee cake but it’s just so darn delicious with vanilla ice cream that I can’t decide whether it should be served for breakfast or dessert – so I’m saying both! That is unless you’d like a little ice cream with your breakfast. No judgment here! And, pass that ice cream over here please. The aroma of apples, cinnamon, and nutmeg that fill your house while this cake is in the oven is outrageously good. If you love easy cake mix recipes, like me, this recipe is for you. 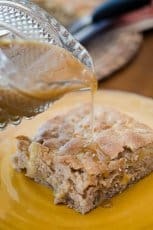 It relies on a boxed yellow cake mix and canned apple pie filling which means – EASY – but it also means you can pull this together any time of year with items you can stock in your pantry. 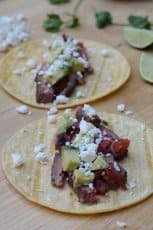 Pantry staple recipes are a great time-saver when you need a quick dessert for unexpected guests or an event that just pops up at the last minute. No need to run to the store, just run to the pantry, grab your ingredients, and you’ve got a delicious cake ready to eat in about an hour. Although, I wouldn’t sit around waiting for last minute guests to bake this cake. It starts with a can of apple pie filling. 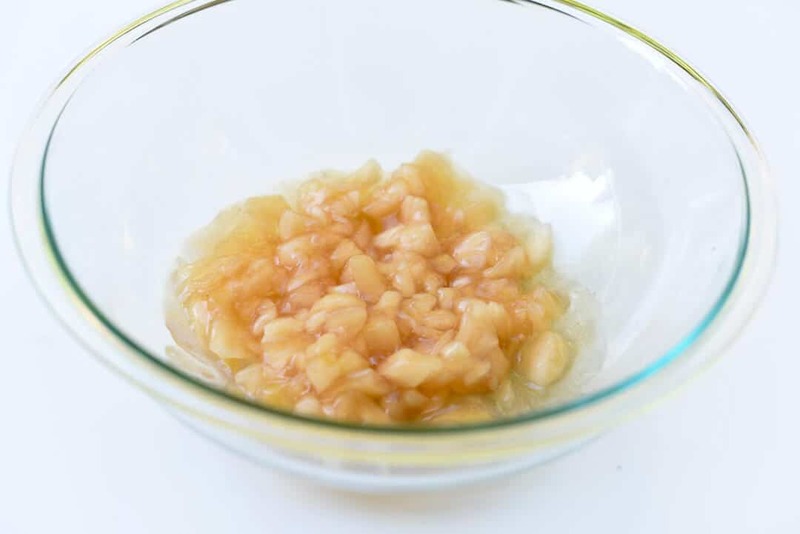 Use a spoon to break the apples up into smaller pieces in a large mixing bowl. To the apples add some eggs, vegetable oil, and water. Then, in go the remaining ingredients. A boxed yellow cake mix, some cinnamon, and a little nutmeg. 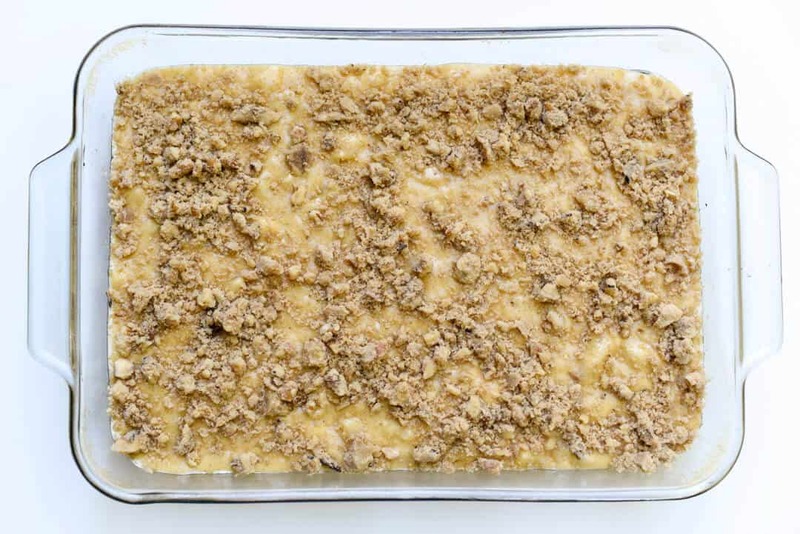 Transfer the batter to a baking dish and top it with a simple walnut streusel. To see exactly how it’s done, take a look at the quick video at the end of this post. 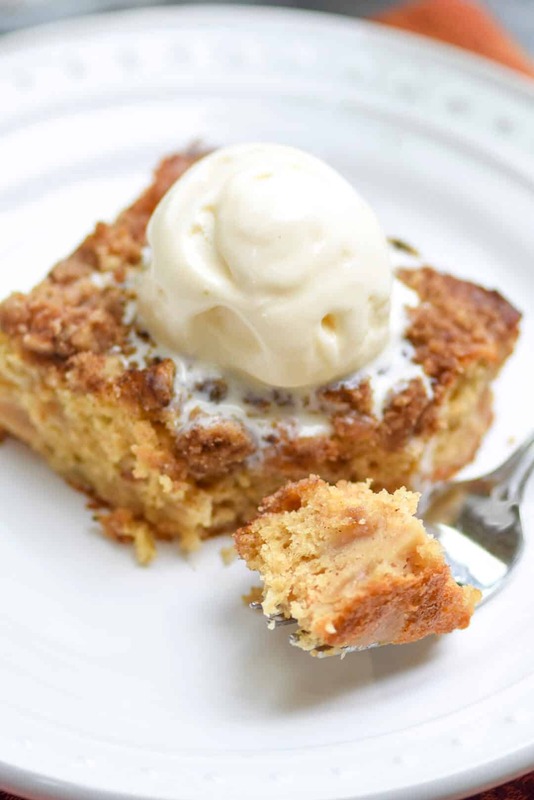 The cake is delicious served warm from the oven with a scoop of vanilla ice cream. Empty apple pie filling into a large mixing bowl. Use a metal spoon to break up the apple slices into smaller pieces. Add eggs, water and oil, and stir to combine. 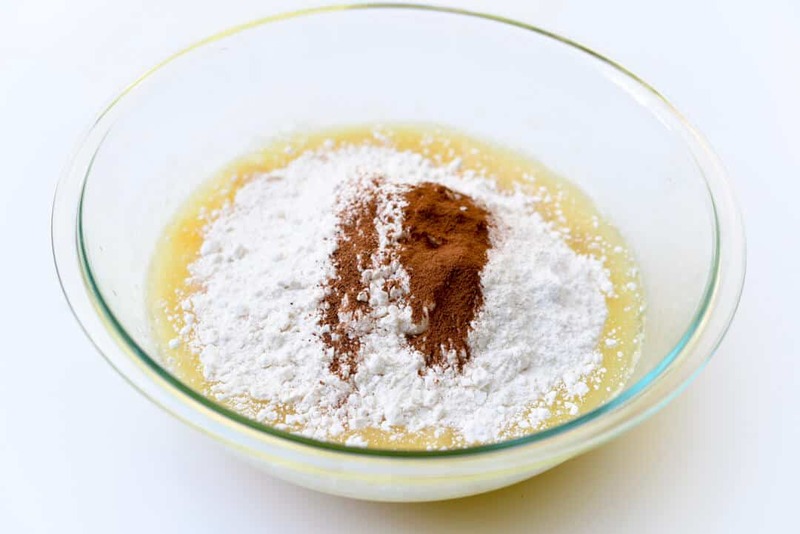 Add cake mix, 1 teaspoon cinnamon, and nutmeg and stir until well combined. Spread batter in prepared baking dish. In a small mixing bowl, combine walnuts, sugar, and remaining 1/2 teaspoon cinnamon. Add melted butter and toss to combine. Sprinkle mixture evenly over batter. 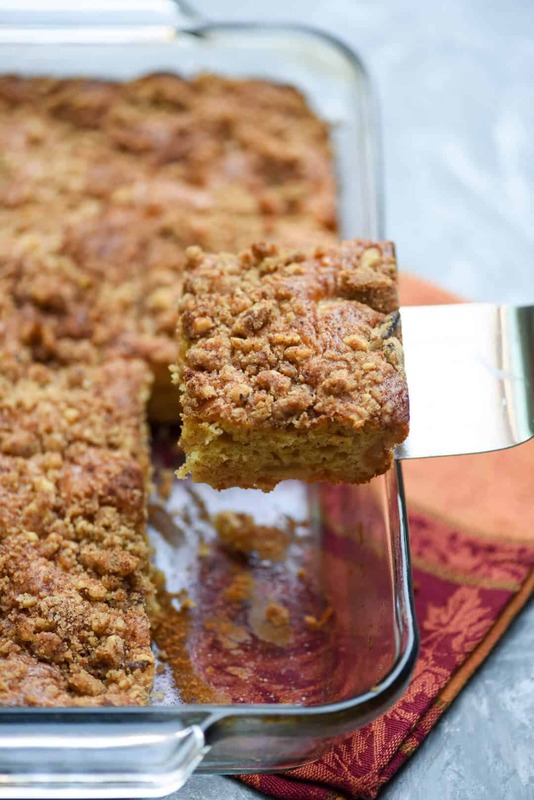 Bake 40 to 45 minutes, or until a toothpick inserted in center of cake comes out with just a few moist crumbs and streusel is golden brown. Note - if streusel is getting too dark, lightly place a sheet of foil over the top of the baking dish towards the end of the baking time. Cool in baking dish at least 15 minutes before serving. Delicious served slightly warm with a scoop of vanilla ice cream! This is a very moist cake and will be at its best if consumed within a day or two. Cover and refrigerate any leftovers beyond that point to keep it nice and fresh. 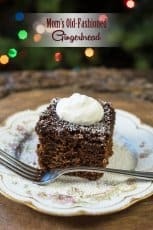 This cake looks so delicious and so easy to make. 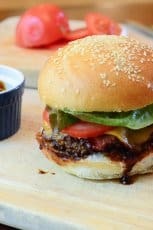 Thank you very much for sharing your recipe. I will be trying it very soon. Is the flour in the batter mix or the streusel? In the oven and just noticed I never used it.